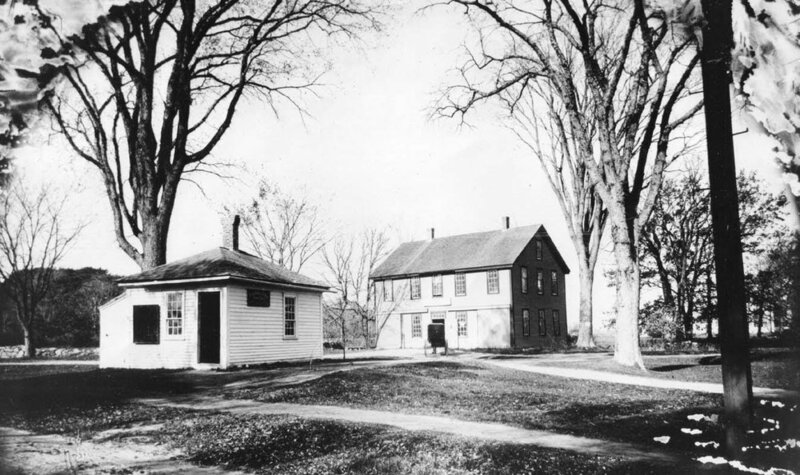 The Hay Scales Building (1833), located at the end of the Common at the corner of Andover and Osgood Streets is a small white clapboard and brick structure measuring just twelve by sixteen feet with a history closely linked to the nineteenth century agricultural life of North Andover. On December 12, 1819 a local group of twenty-five men met together as the Proprietors of the Hay Scales in Andover North Parish. They made a decision to purchase a hay scales and construct a building to be used for weighing hay brought there by local farmers. In the early 1830s the Proprietors approved both a new scales and further construction costs. The existing Hay Scales building was erected in 1833 to house the new scales. The Proprietors covered the costs by selling shares and charging a fee for the use of the scales. For many years various neighbors served as weighers, including Colonel Moody Bridges, Hiram Berry, and harness-maker Albert McDonald. The weigher received one-third of the hay’s value as a fee for the service. From 1887 until the early twentieth century, a cobbler and Civil War veteran named William Stuart Roundy used the Hay Scales Building for his shoe-making business; he also served as the weigher. From 1924 until 1929, Kate Hastings Stevens ran a combination business in the small building that featured baked goods, antiques, and a lending library. She called her enterprise the Hay Scales Exchange. 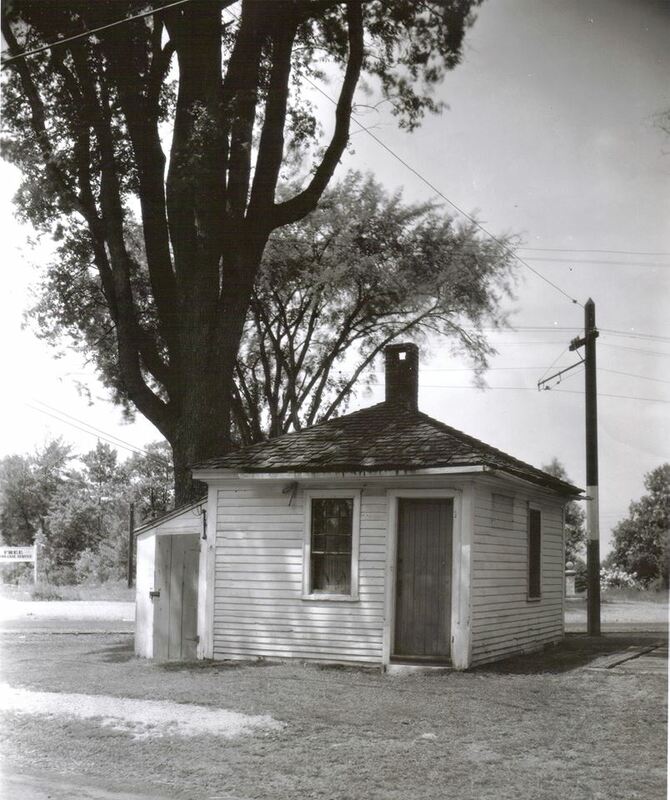 To ensure the continued existence of the Hay Scales Building, Mrs. Rogers persuaded all the existing Proprietors of the Hay Scales to donate their shares to the North Andover Historical Society, and in 1960 the Society became the sole proprietor of the building.